I will receive compensation from purchases made through links in this post. Thank you! I just tried out Savory Butcher for the first time, and I was SO impressed! The customer service was incredible! The meat was high quality and delicious! And the price is right! I bought the 40 lb case of chicken for $1.99 lb, which is an awesome deal. Their chicken comes fresh from the farm, already trimmed, and no added hormones, anti-biotics, or preservatives. Savory Butcher also offers high quality bacon and ground beef. Savory Butcher has limited delivery locations, so check to see if they will be delivering near you. Currently they deliver to areas in Washington, Oregon, Utah and Idaho. If you live in one of these areas, look into when they will be delivering near you. I just spent a couple of hours prepping my bulk chicken. 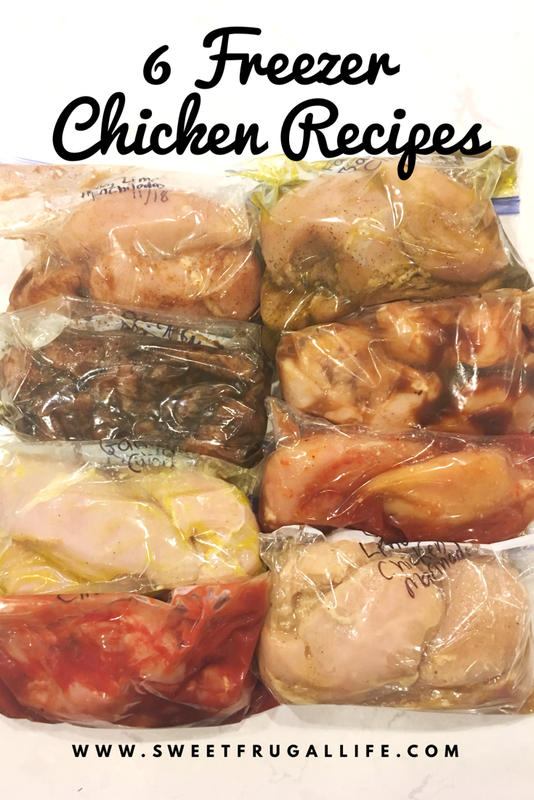 I love stocking my freezer full of chicken for quick, easy dinners. 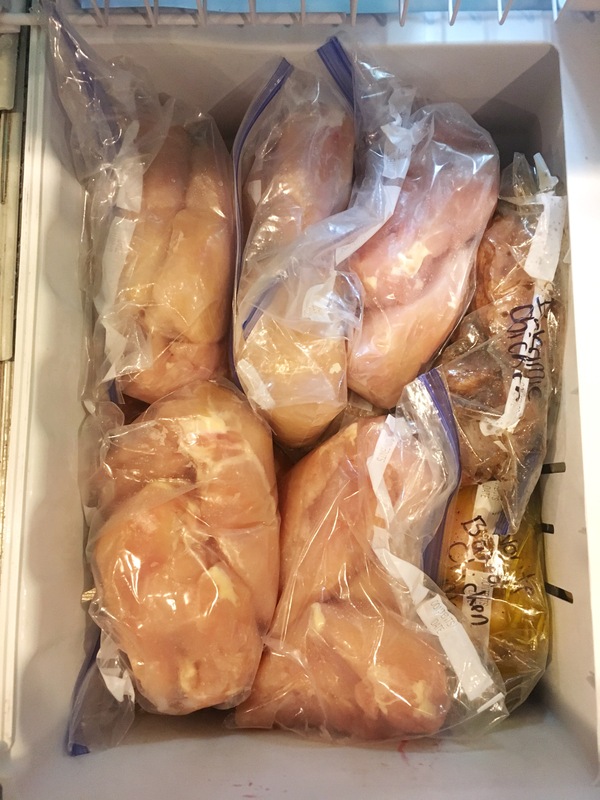 I prepped 8 ready to cook dinners; and 6 bags of plain chicken. It does take a little bit of effort to prepare your bulk chicken, but the amount of money you save is SO worth it! When preparing chicken for the freezer I highly recommend using a vacuum sealer. 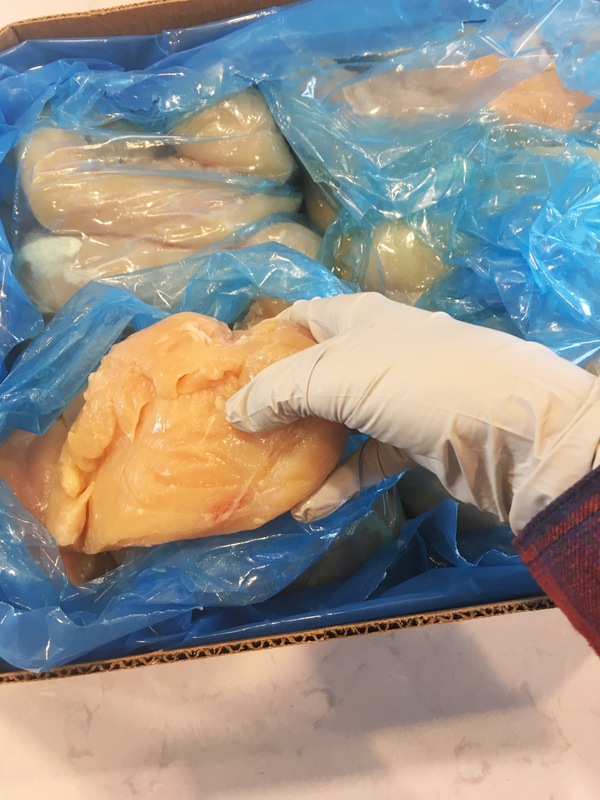 The vacuum sealer will make the process simple and helps prevent any freezer burn. My sealer was not working (resulting in quite a bit of frustration on my part!). 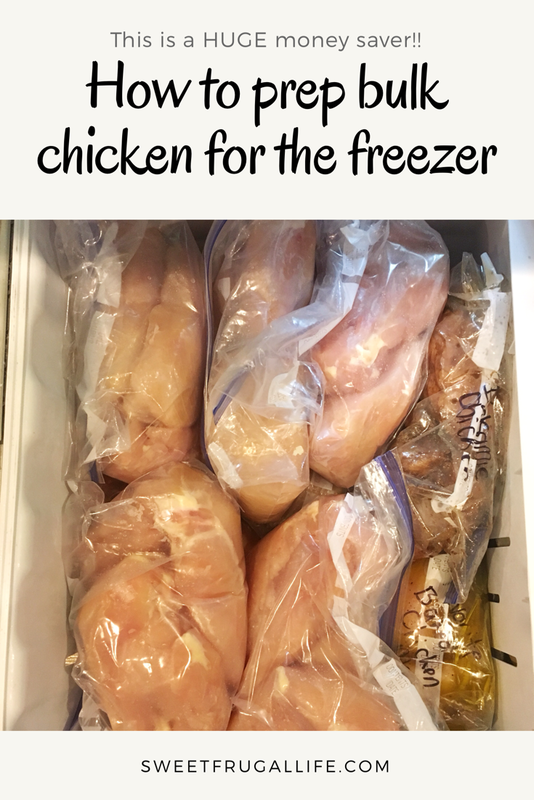 I decided to freeze my chicken in freezer bags instead. The freezer bags will work, just not as well as the vacuum sealer! 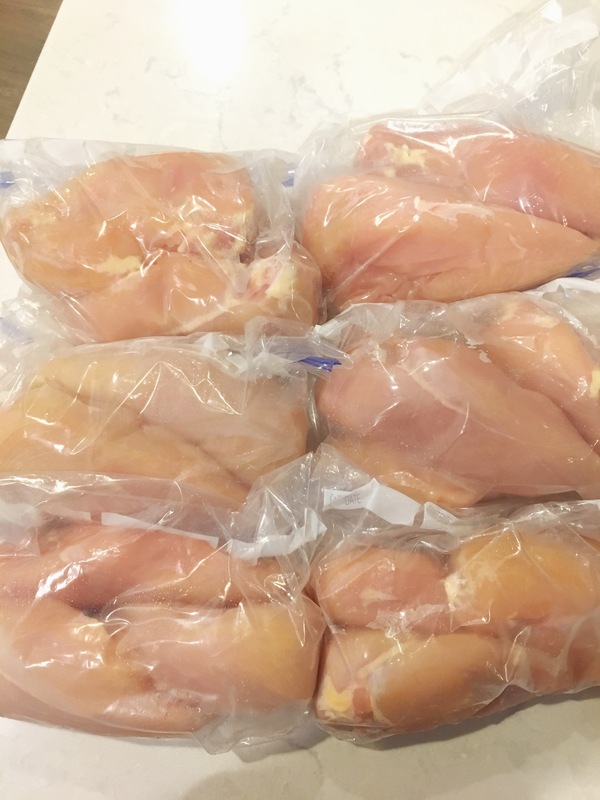 Separate your chicken into dinner sized portions, this resulted in about 2-3 chicken breasts per bag for my family. 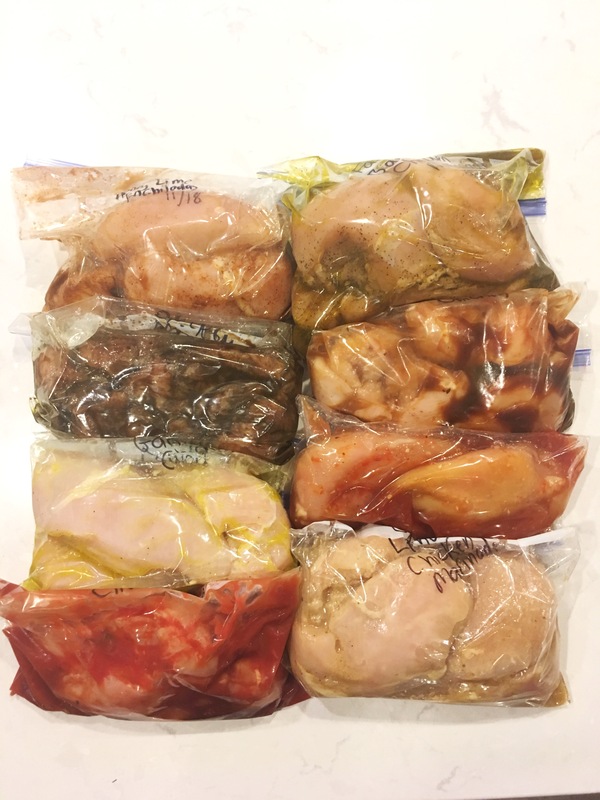 Place each portioned chicken into freezer bag, remove all of the air and seal tightly. These will store well in your freezer for 6 months. 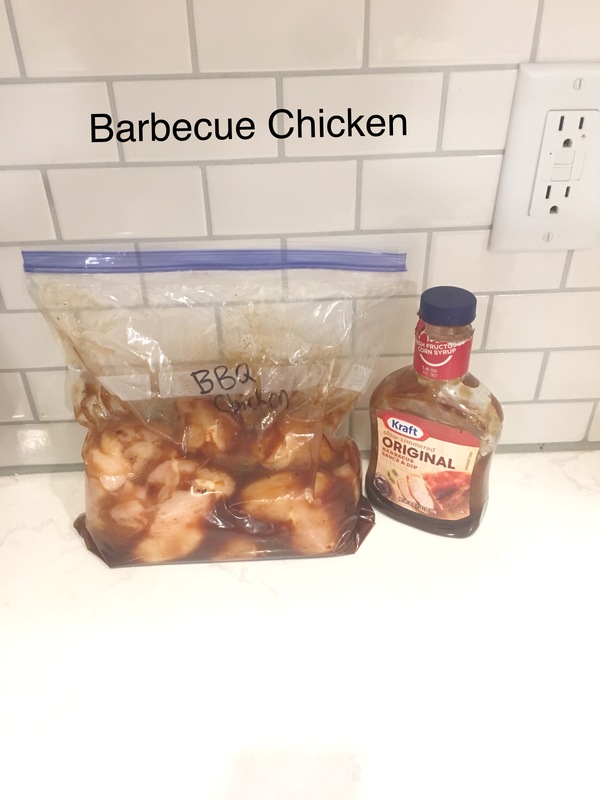 Combine chicken, salt, pepper, honey, soy sauce, onion, ketchup and garlic powder in a freezer bag. Let all air out of bag. Seal tight and freeze. When ready to prepare take it out of freezer and allow to thaw. 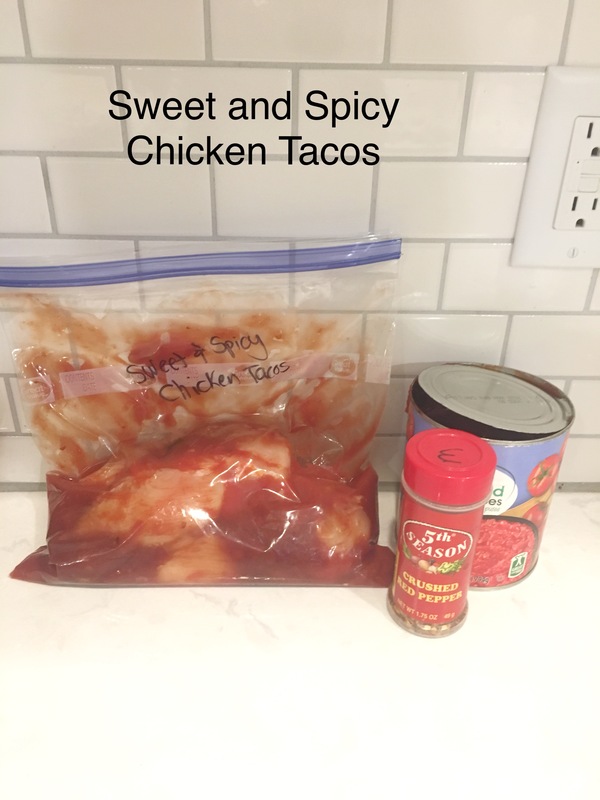 Dump entire bag of chicken and sauce into slow cooker. Cook on low for 3-4 hours. 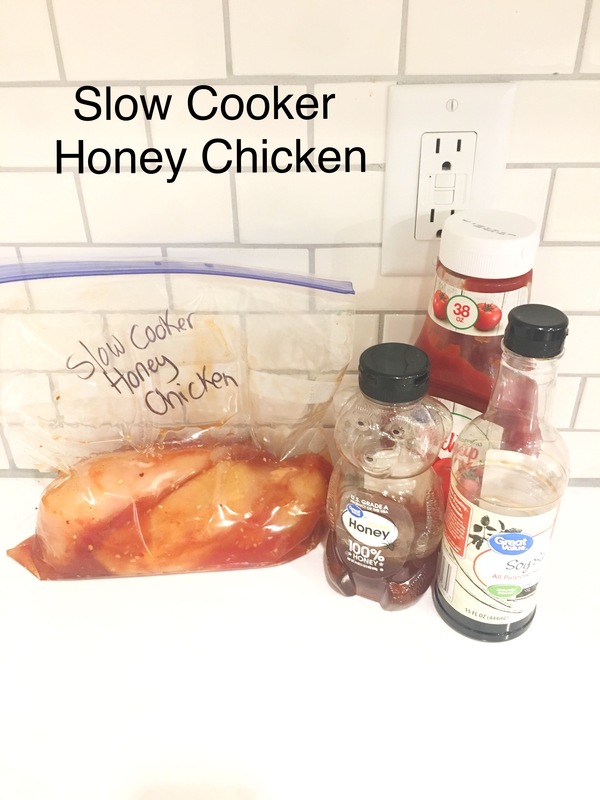 When finished cooking take chicken out of slow cooker and leave the sauce. Combine cornstarch with water, stir well. Add it into slow cooker with sauce. Cook sauce on high until it begins to thicken (5-10 minutes). Slice chicken into small chunks. Return to slow cooker and stir with sauce. 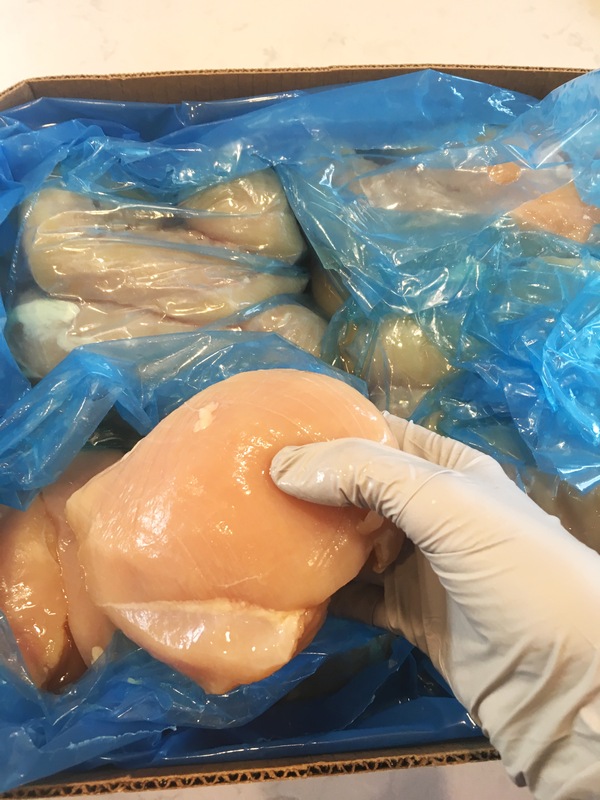 Put chicken in a freezer bag. Pour entire container of barbecue sauce on top. Cook on grill. Top with barbecue sauce to serve. 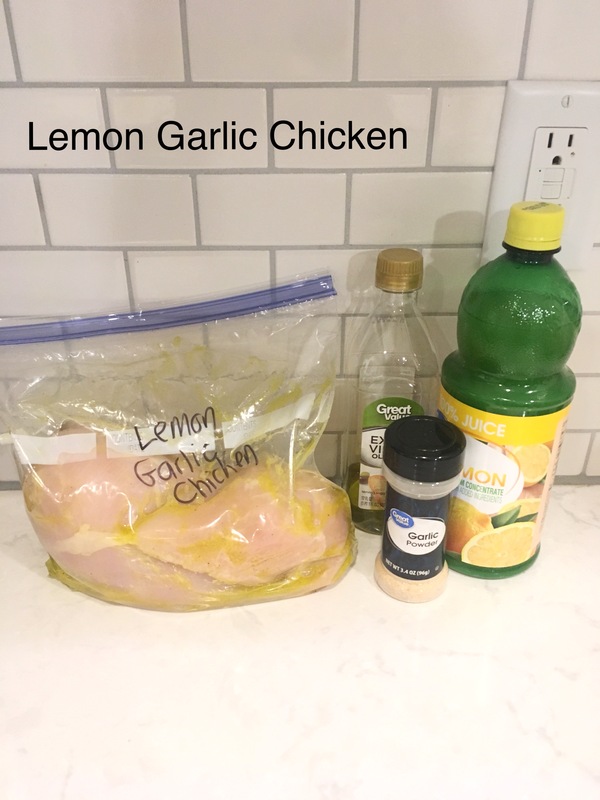 Combine chicken, olive oil, lemon juice, garlic powder, salt and pepper in freezer bag. 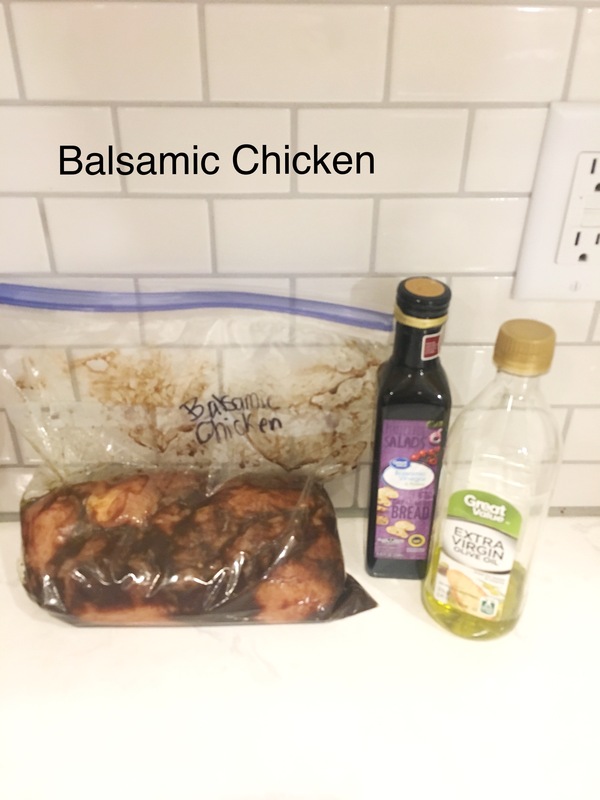 This balsamic chicken recipe is available as part of my Free 14 Day Frugal Living Challenge. You can sign up using this link and my 15 favorite frugal recipes will be e-mailed to you on Day 3 of the challenge. Combine chicken, tomatoes, brown sugar and red pepper flakes in freezer bag. 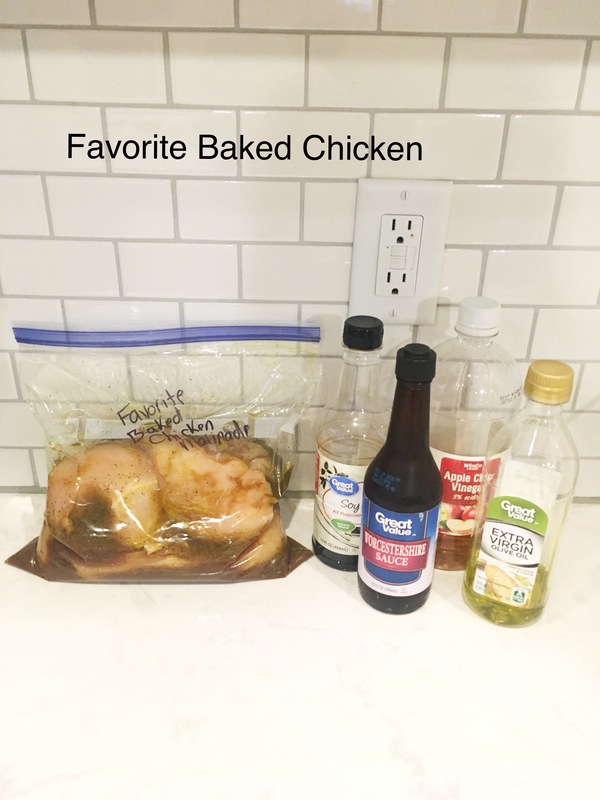 Pour chicken and sauce into slow cooker. Cook in slow cooker on high for 5 hours. When done cooking shred chicken in sauce. Serve in flour tortillas with your favorite toppings. 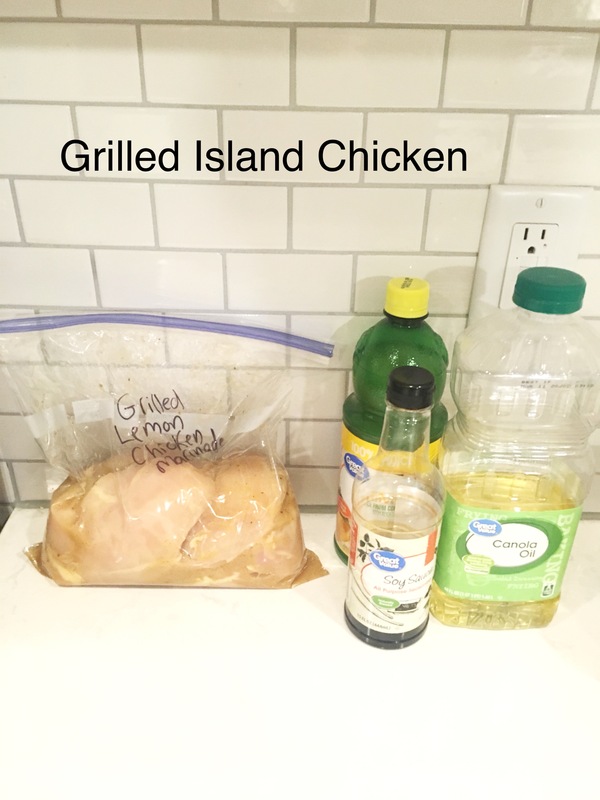 This grilled island chicken recipe is available as part of my Free 14 Day Frugal Living Challenge. 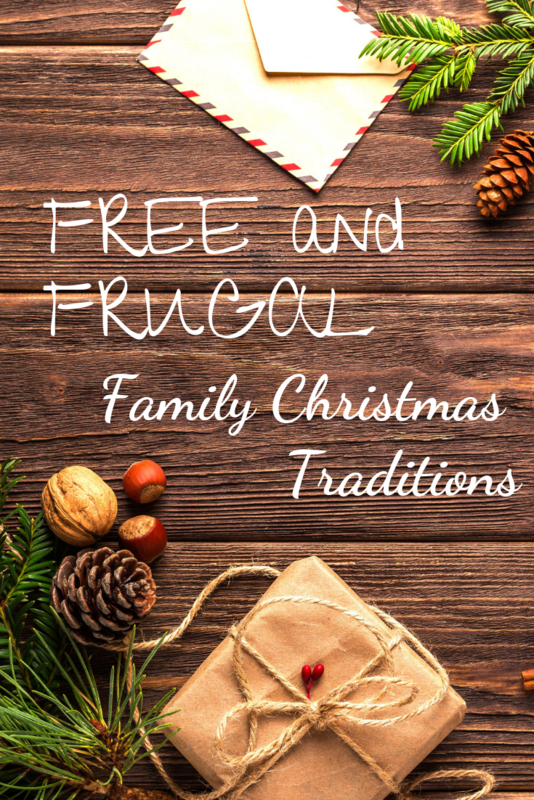 You can sign up using this link and my 15 favorite frugal recipes will be e-mailed to you on Day 3 of the challenge. Combine all ingredients in freezer bag. Bake in 375 degree oven for 30 minutes. 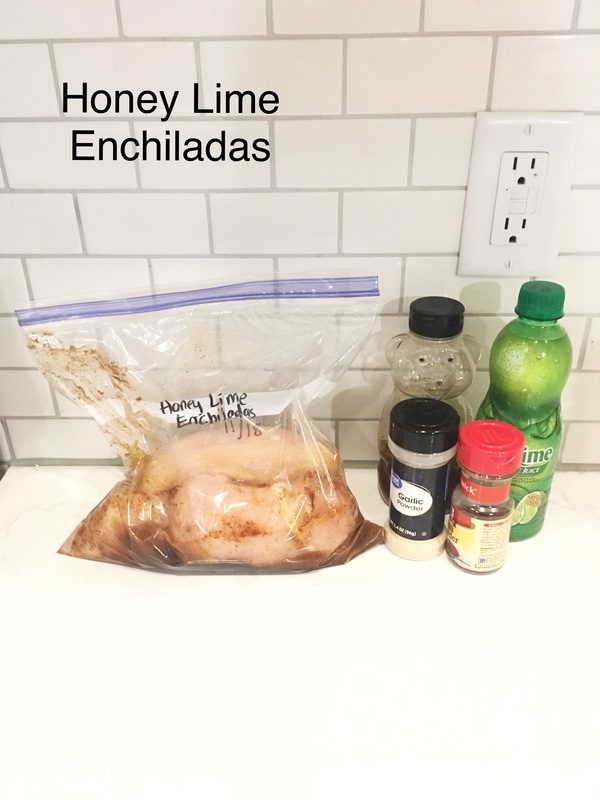 Combine chicken, honey, lime juice, chili powder, and garlic powder in freezer bag. Pour a small amount of green enchilada sauce on the bottom of a 9×13 pan. Fill tortillas with shredded chicken and cheese. Place in pan. Pour the rest of the green enchilada sauce over the tortillas. Sprinkle with cheese. Bake uncovered in 350 degree oven for 30 minutes. Great ideas. If I could get chicken for that price, I would buy a ton of it. We pay about $8/lb of chicken, so we don’t stock up very often. But I’ll keep these meal ideas in mind the next time that we do. Oh that is so expensive! !